Bought the book before I knew there was a Kindle version coming. But I still love REAL books. You Can't build a 66 pound break bookshelf with a Kindle. 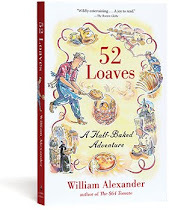 Read 52 LOAVES about a month ago and thoroughly enjoyed it. 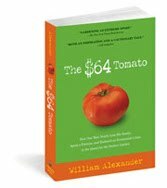 I think there is something elemental about bread, so I was glad to have a book about it that is not just recipes. I have started doing the "no-knead" NYT bread, adding rosemary from my garden, and am very pleased. So far, I am just one Romertopf down, but since it was a yard sale item, my losses are far outweighed by my victories. I'm going to expand my range now that I can reliably produce the "no-knead" and am interested in the bread you describe in the book. I really like the cast iron dutch oven technique, so I hope to be able to continue with that. I have also picked up a crock pot liner about 8 inches in diameter and 8 inches tall. I'm going to try that with an aluminum foil lid. Off to the kitchen to experiment! Thanks. And that loaf referenced in the preceeding comment does look nice!